iSpy - download in one click. Virus free. Download the latest version of iSpy with just one click, without registration. It comes with a safe official offline installer for iSpy. iSpy provides live video and sound feed, receiving and transferring images and audio from the source, as soon as those are captured. Any movement gets caught on camera, depending on available sensitivity. The data is transmitted live and can even be accessed via online interface on the developer's website once you are registered as the program user. You can easily navigate iSpy switching between different windows displaying feed from different cameras. Any feed can be cut off by closing the corresponding window. iSpy can be used on several devices with unlimited amount of cameras, but only if you subscribe to full version. 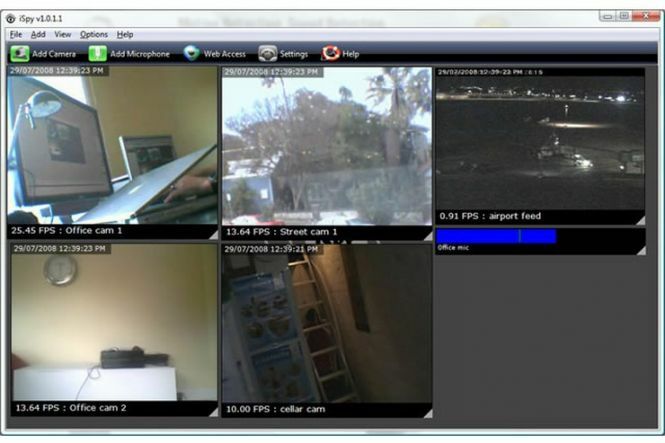 This helps users create a full-fledged surveillance system with equipment available in any store. iSpy has password protection preventing unauthorized access to the surveillance materials. There's also the option to save the live video you receive and store in in AVI format. More advanced features include real-time notifications with passwords and emails sent to a given address. As soon as cameras and sensors connected to Ispy detect movement, a message will be sent. 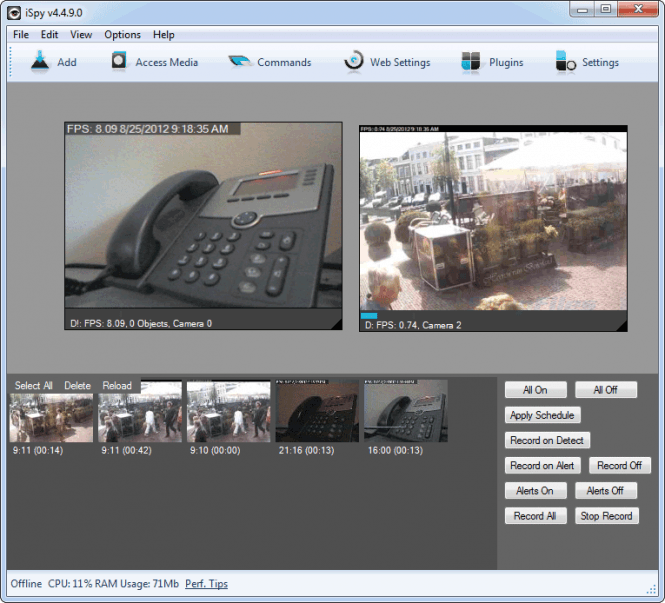 Overall, iSpy is a tool that can prove very useful to people who want to use their cameras to observe and report. Limits: Functions restricted to only local use.